Frank LaCrosse and Jib Turner are two very different men. LaCrosse has 50 years’ experience building everything from residential projects to hotels, and Turner is the PR side of their business. Coming together in 2009, they share a passion to create full-featured homes in the 600- to 1,000-square-foot size. Easy to heat, easy to maintain and easy to afford are what they think a sizable number of Canadians want but can’t find. That’s why they started Northern Metal Framing and Affordablehousingcanada.com. But few new ventures are simple, especially when that venture is innovative. LaCrosse began his building career with wood, but he’s been sold on the virtues of building with steel for decades. Most commercial buildings these days are made with steel frames, and that’s the way LaCrosse and Turner build small homes in their 10,000-square-foot plant in Little Current, on Manitoulin Island in Georgian Bay. So how do LaCrosse and Turner make a steel-frame home energy efficient in our cold Canadian climate? By using all the best insulation technologies. 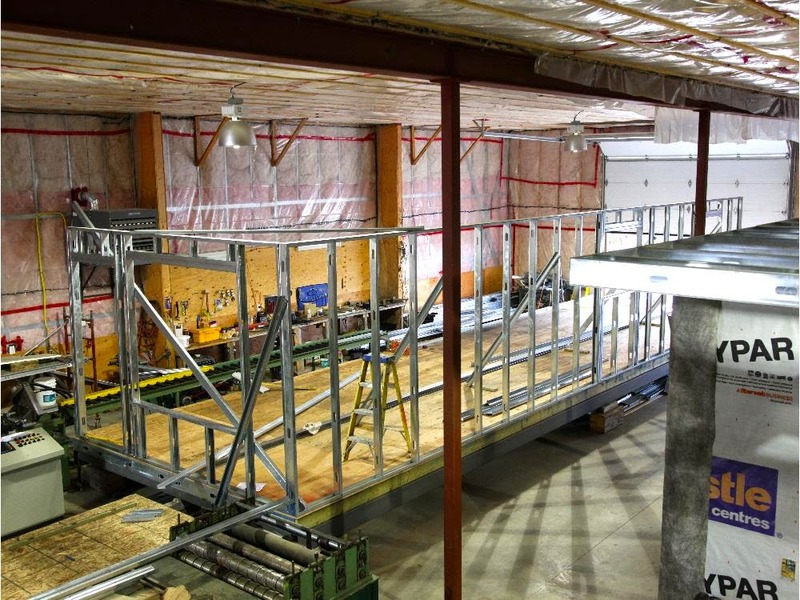 Safe spray foam is applied to wall cavities between steel studs before drywall goes on, with an additional layer of rigid foam insulation added to the outside of the frame as part of the exterior insulation finishing system. This high-performance stucco-like treatment is generically known as EIFS in the construction industry, and it’s one of the longest-lasting, most maintenance-free options for building exteriors. LaCrosse and Turner are the only builders I’ve seen using EIFS on small homes. Finding labor is another challenge Turner and LaCrosse face. “Lack of skills isn’t the main problem because skills can be taught,” says LaCrosse. “The real problem is that too few people are willing to deliver eight hours of work for eight hours of pay.” All this said, passion is the one enduring thing that keeps these men going. I wish them luck. I am a consumer and have been trying to find a module (what many in my very expensive area would probably use as a kitchen) to use as an art studio. I need higher than standard walls for ceiling height (11+), and something probably around 18x40'. I feel their pain about not getting 8 hrs out of workers. My hangup comes much sooner; it's simply getting people to email me back. I hope they get the money to proceed. After that, 1950's customer service would set them apart from everyone else.